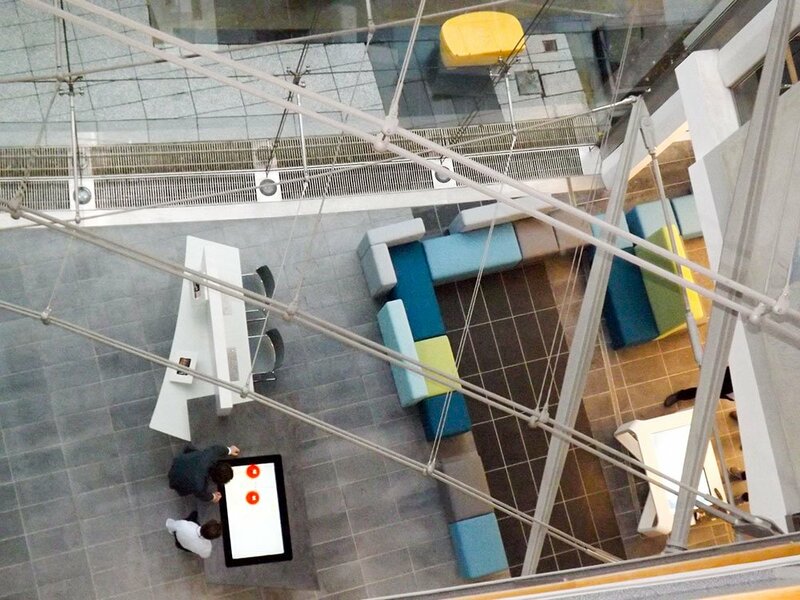 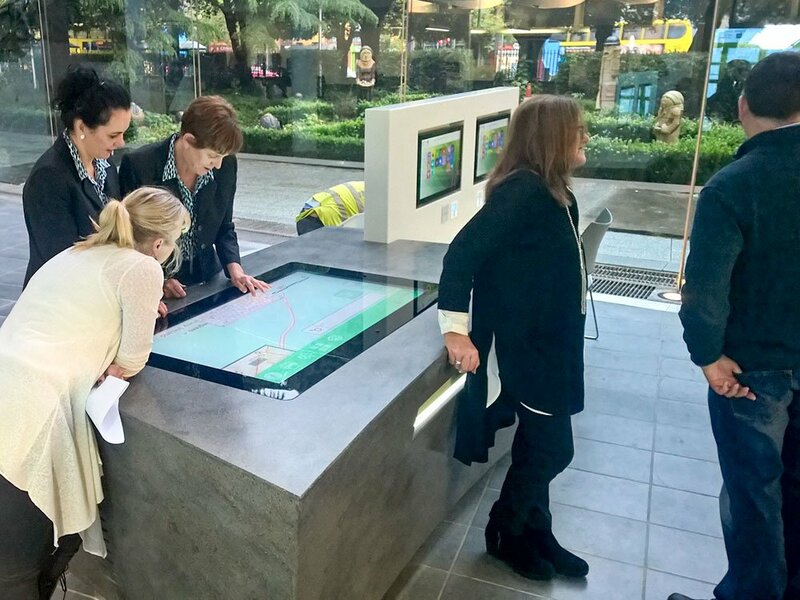 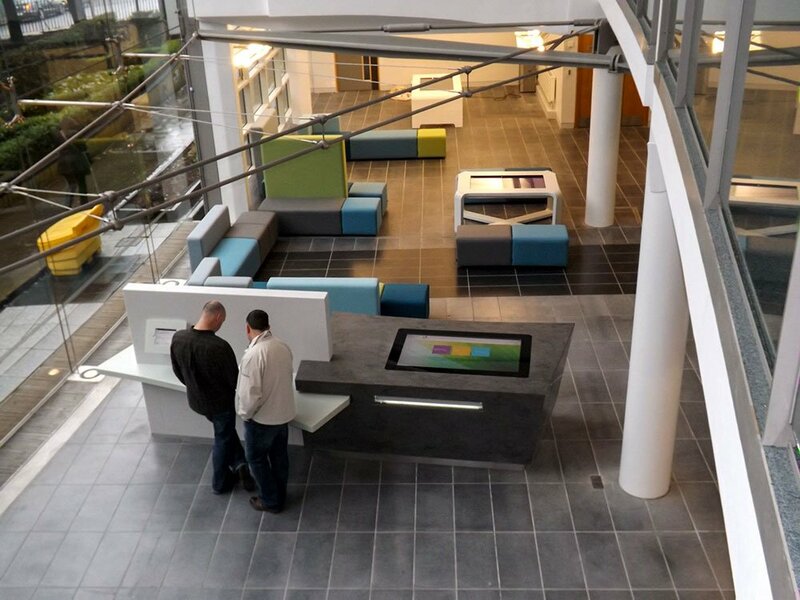 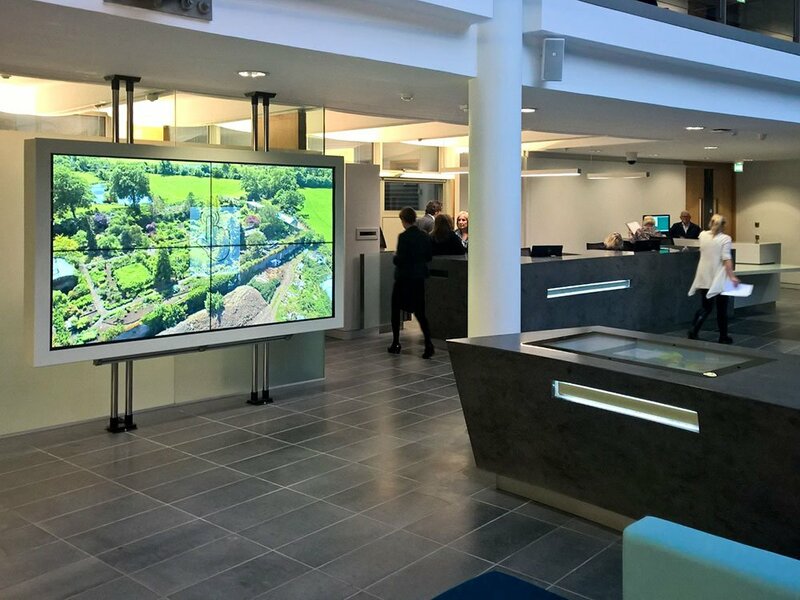 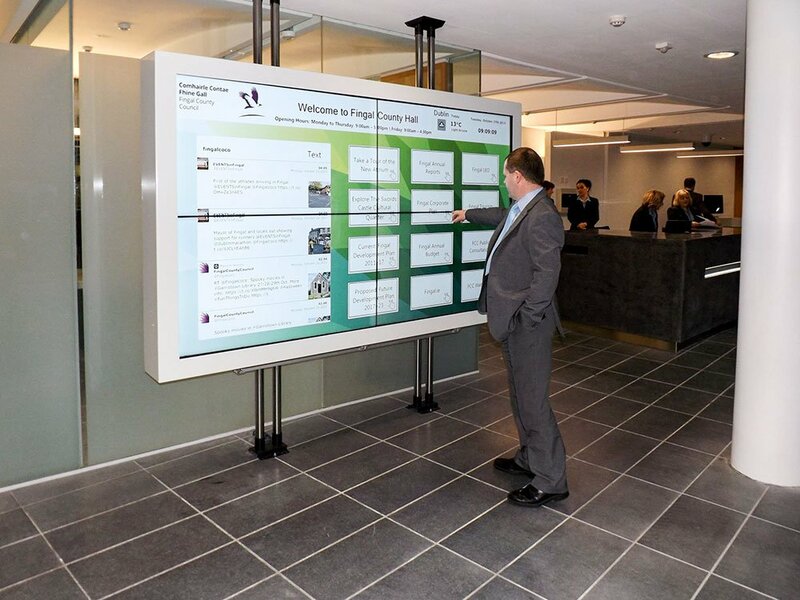 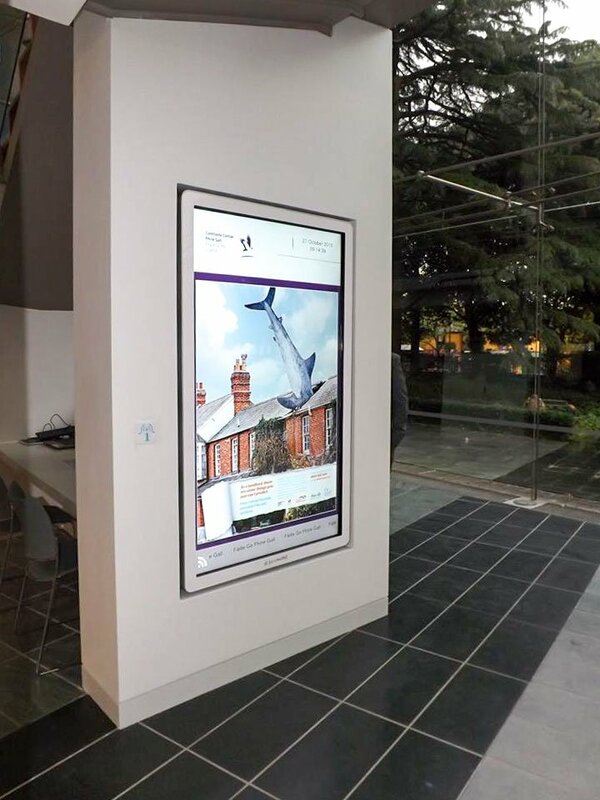 The new Atrium area in County Hall Swords has been developed into a interactive information environment. 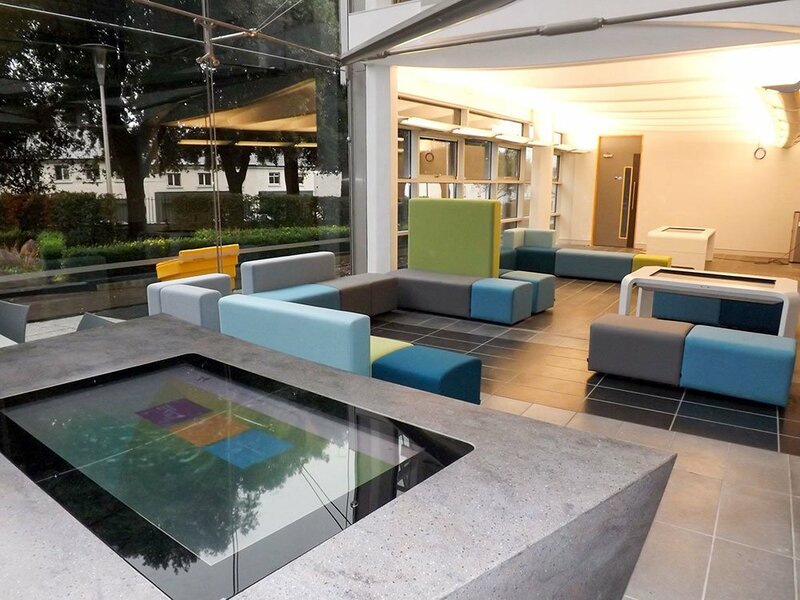 Promultis supplied a number of products to meet the different requirements for this large space. 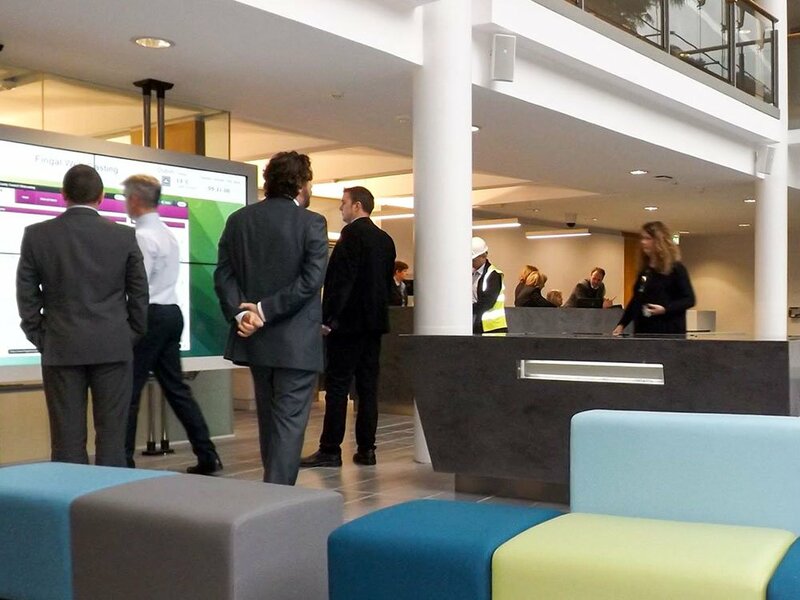 This included a suspended, 2×2 touch video wall with 55″ screens and a large drop-in touch screen. 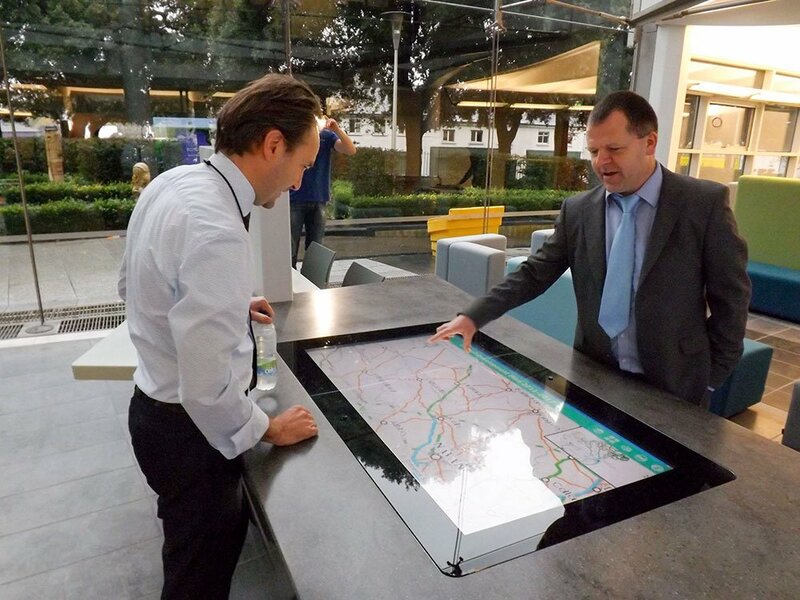 In addition, a 84” touch screen has been recessed into a column and in the seating area a Promultis table and x-table have been added.